Submitted photos Fairborn High School athletes sold programs at the Vectren Dayton Air Show, June 20-21, to support the Skyhawk Athletic Club’s biggest fundraiser of the year. Volunteers sported special T-shirts to help patrons identify them. 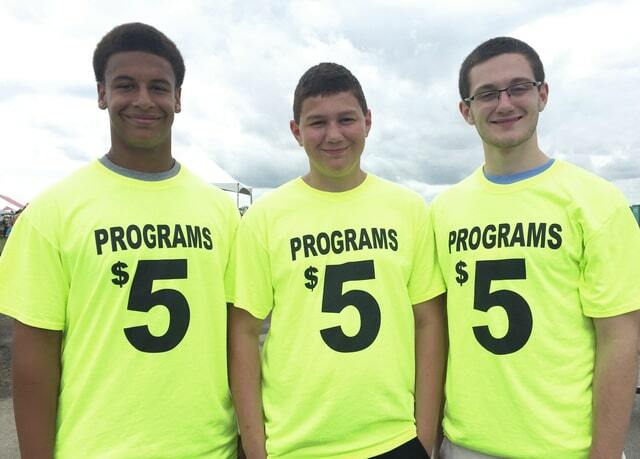 Fairborn High School athletes sold programs at the Vectren Dayton Air Show, June 20-21, to support the Skyhawk Athletic Club’s biggest fundraiser of the year. Volunteers sported special T-shirts to help patrons identify them.